This post may contain affiliate links. While it's no additional cost to you, clicking these links helps keep our blog going. You can view our disclosure policy for details. It’s time to show us how you “I DIYed That” again- not just for bloggers, but for non-bloggers too! You can share your blog post here, showing off a DIY creation you made, or if you are a non-blogger, you can link up your DIY on Instagram using the hashtag #iDIYedthat. Every week, each blogger will pick our favorites and share them on our blogs, on Pinterest, as well as throughout our social media channels! We want to show you off! This week Laura shares her favorite Hocus Pocus inspired decor! Get geared up for Halloween! Leigh shared a simple and easy way to dry your own hydrangeas. Just in time for Fall! Lindsey shares The Easy Way to Strip furniture with minimal sanding. You will love her tutorial! Alicia shares how to fill that empty space between your washer and dryer with this built-in tutorial. 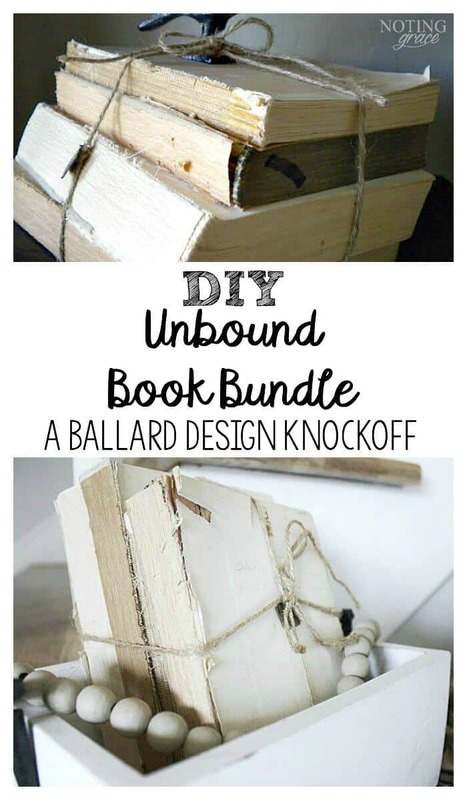 Jen shared an easy tutorial on how to make your own unbound book bundles for cheap using books from a thrift store and twine! The first feature for I DIYed That from Instagram goes to Loren @seaglassinspiredcottage. She shared her beautifully transformed door that left us all swooning! The next feature goes to the Emily from Domestic Deadline. She shares how to make a board and batten wall for less than $100! Now for the fun stuff – I DIYed That – Week 27! 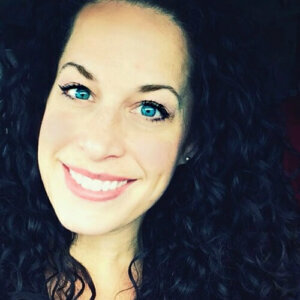 Grab a cup of coffee, let’s laugh until we cry, and dare to DIY as I show you how fun and easy it is to Renew, Create, and Decorate your home all while finding Beauty in the Blemishes. Follow me on your favorite social media! Noting Grace is a participant in the Amazon Services LLC Associates Program, an affiliate advertising program designed to provide a means for sites to earn advertising fees by advertising and linking to Amazon.com.